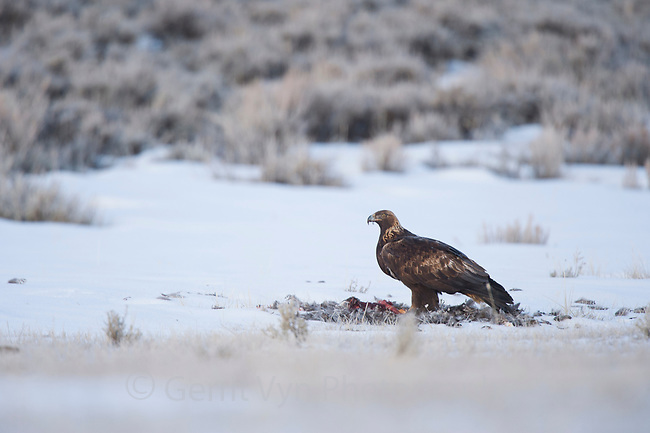 Adult Golden Eagle (Aquila chrysaetos) feeding on a Greater Sage-Grouse (Centrocercus urophasianus) captured pre-dawn on a lek. Freemont County, Wyoming. March.